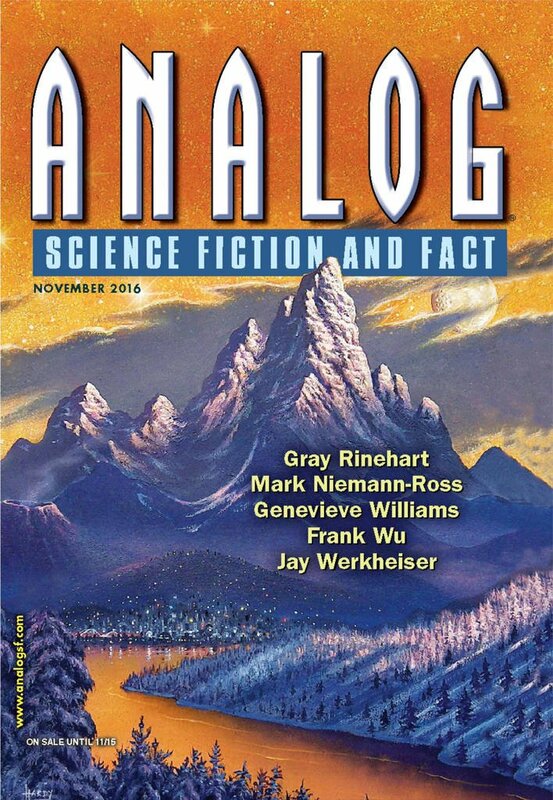 "One Man&apos;s Dignity," by Mark Niemann-Ross [bio] (edited by Trevor Quachri), appeared in Analog Science Fiction and Fact issue 11|16, published on September 22, 2016 by Penny Publications. Pro: Aspects of the story have promise. The big challenges of building a rotating station and the advantages of having something like normal gravity against are fun to explore. Con: Nearly the entire story is narration. Most of it is infodumps, much of the rest is "telling not showing." Such dialogue as there is is unnatural. The plot is rather strange as well. It's hard to believe that Jacob would genuinely prefer the utter isolation of a one-way trip to Mars over struggling to recover back on Earth.